Where do the world's most successful companies get great ideas? Why do some develop effective strategies and succeed, while others fail? What are the most effective ways to strategically plan an organization? 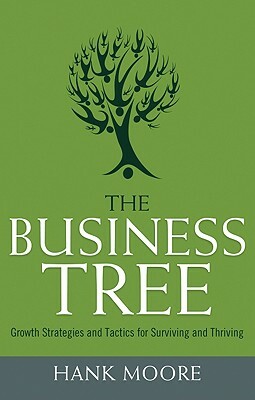 "The Business Tree" is an original business model and a fresh look at change and growth, utilizing full-scope planning as a means of navigating through uncertain waters toward richer success. It is based on the author's trademarked approach to growing and strengthening businesses, tested by his actual work in guiding corporations during the past three decades. This book offers a creative approach to strategy development and planning for companies, that prepares them for an unknowable tomorrow in today's turbulent business environment. It is illustrated with dozens of case studies, most drawn from the author's own files.